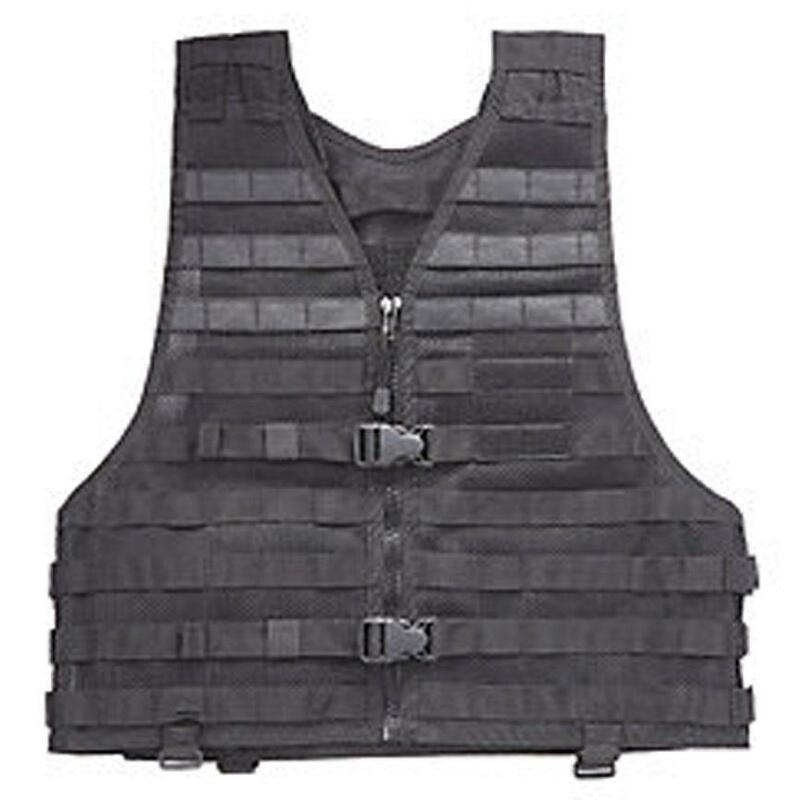 Buy Cheap Tactical LBE Black Vest |ReplicaAirguns.ca | Easter Weekend Sale! 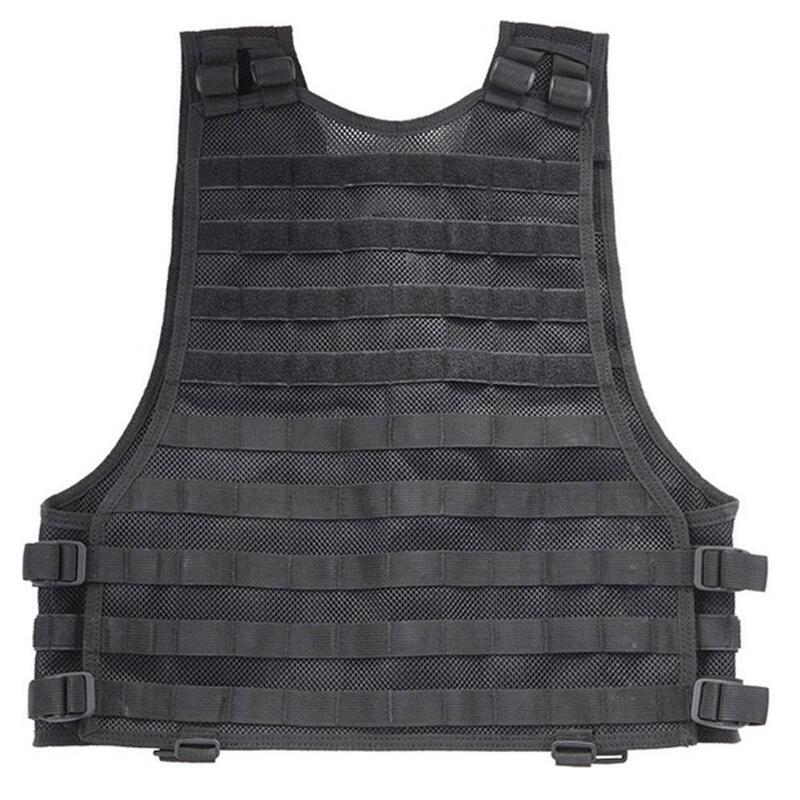 The Tactical LBE Black Vest is covered in heavy duty M.O.L.L.E. compatible webbing to allow for total customization. You can attach any number of magazine and modular pouches to suit your needs. 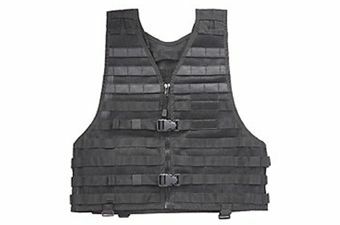 The vest features hanging loops for pistol/duty belts and two quick release buckles.A grab handle is located on the upper backside for easy carrying while the inside is lined with a stiffened mesh for breathability.